Dr. Hall joined Oak Grove Family Clinic in August of 2013. She received a Bachelor of Science at The University of Southern Mississippi in Hattiesburg, Miss., and her medical degree at the University of Mississippi School of Medicine in Jackson, Miss. She attended residency at North Mississippi Medical Center in Tupelo, Miss. She is board certified by the American Board of Family Medicine. Dr. Hall is a member of the American Medical Association, Mississippi State Medical Association, American Academy of Family Physicians and American College of Physicians. Dr. Hall enjoys spending time with her family and attending Southern Miss sporting events. As a hometown provider, she enjoys getting to know each patient on a personal level. By building relationships with her patients, Dr. Hall can help to ensure that individual needs are met. At Oak Grove Family Clinic, Dr. Hall provides treatment for chronic and acute illnesses and minor injuries including cold, flu, allergies, sore throat, minor burns, sprains and broken bones. She also offers sports physicals, laboratory studies and X-ray services. “Hattiesburg Clinic has a reputation for providing South Mississippi with health care tailored to an individual’s needs. We have great physicians who provide care to each patient. It is a wonderful feeling to be a part of something with such history. 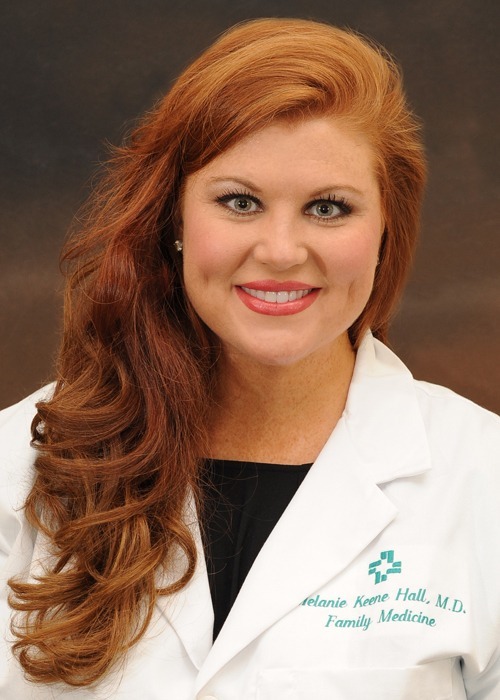 I’m proud to serve Hattiesburg, the city that I love.” – Melanie Keene Hall, MD. Oak Grove Family Clinic provides comprehensive evaluation and care to meet the total health needs of each family member. These physicians offer prompt, complete assessment of the patient in their home communities and are able to obtain and coordinate consultation with other specialists when necessary. University of Mississippi School of Medicine- Jackson, Miss. North Mississippi Medical Center - Tupelo, Miss.